Pictured here is a great example of asymmetrical balance. You can see how the weight of the room is balanced out by a small side table and a skinny tall lamp. The Malibu sectional’s chaise balances with the other side of the sofa. 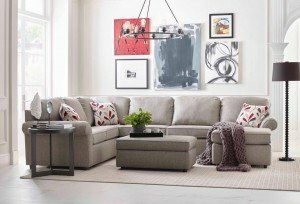 If you need to breathe a bit of life into your home during these gray winter days, one of the easiest ways to do that is by incorporating a pop of color into the living room. Adding a bright, happy color to one of the most used rooms in the house can create a positive atmosphere in your home. Here are a few ways to include a pop of color in your living room. 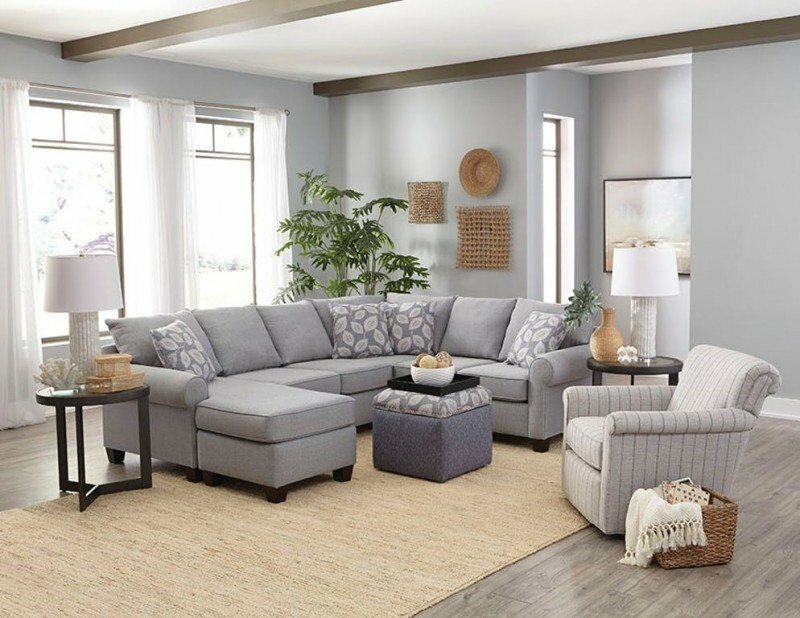 Brightly colored pillows, like the ones on this Chandler Sectional by England Furniture, are simple details that can make a huge difference. Pillows can be an inexpensive update to a room, and if you’re handy, you can even reupholster pillows by hand. 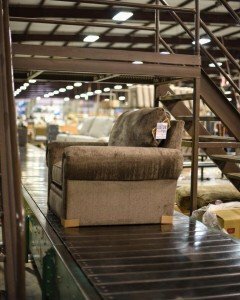 Accent chairs, like England Furniture’s Kinnett Chair, can add an interesting dimension into a room by introducing a whole new vibe. 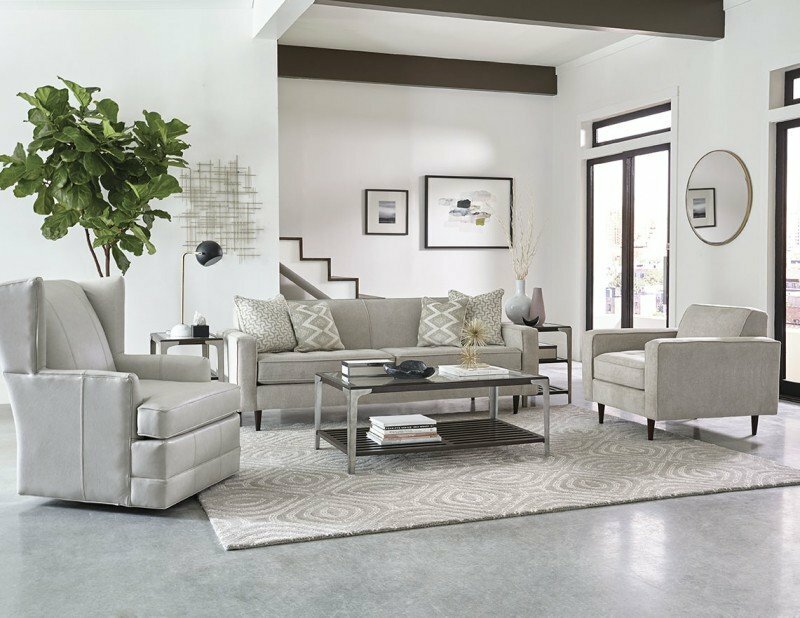 To have an accent chair blend into a room, it’s important to integrate that color throughout other aspects of the room so that it doesn’t stick out like a sore thumb. 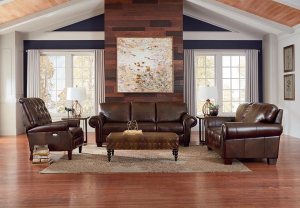 Adding striking art to the walls helps to make the room look more complete. Whether you opt for larger scale paintings or smaller framed water colors, pieces of art can add a splash of color to a wall without having to paint. These elements help bring color into a room in a more discrete way. They can be tucked in a corner or prominently displayed on an end table or coffee table. An ottoman, like this small Hollie Storage Ottoman by England Furniture, adds a fun hue that can be drawn from other elements in the space. 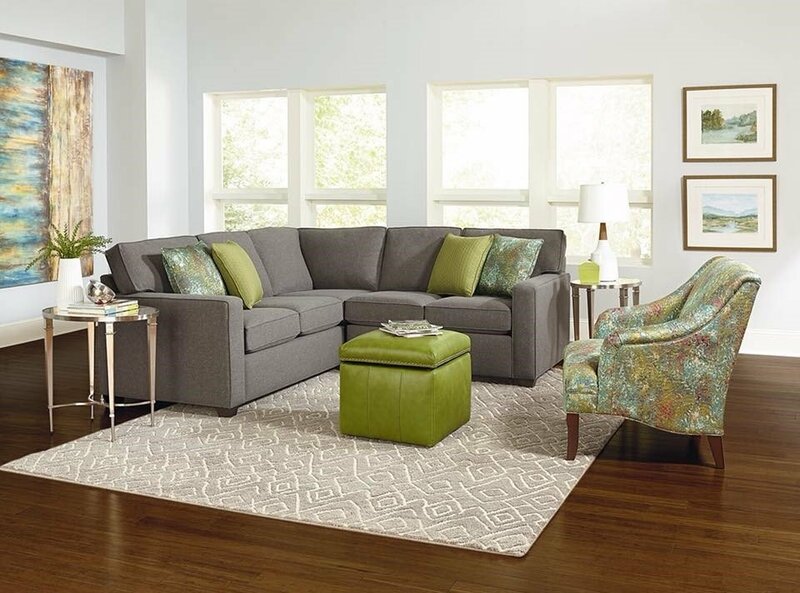 Ottomans not only make a room more comfortable, but they often offer great storage.